All in the Allen Family! With the CW television series The Flash having returned for its fifth season this week, many fans of the show are now wondering about the mysterious girl Nora, who also goes by the hero name XS, revealed to be Barry and Iris’ daughter from the future. Meeting your yet unborn child is no doubt quite the experience, but for those who want to learn more about this speedy young lass, Friday Flash Facts is here! Before we talk about XS, however, we should straighten out a few Flash Facts: firstly, Nora isn’t a thing in the comics. Nora, as presented in the television show thus far (as much as we can infer, at least) is an amalgamation of a pair of Flash descendants – Dawn Allen, one of Barry and Iris’ twins, and Jenni Ognats (a.k.a. 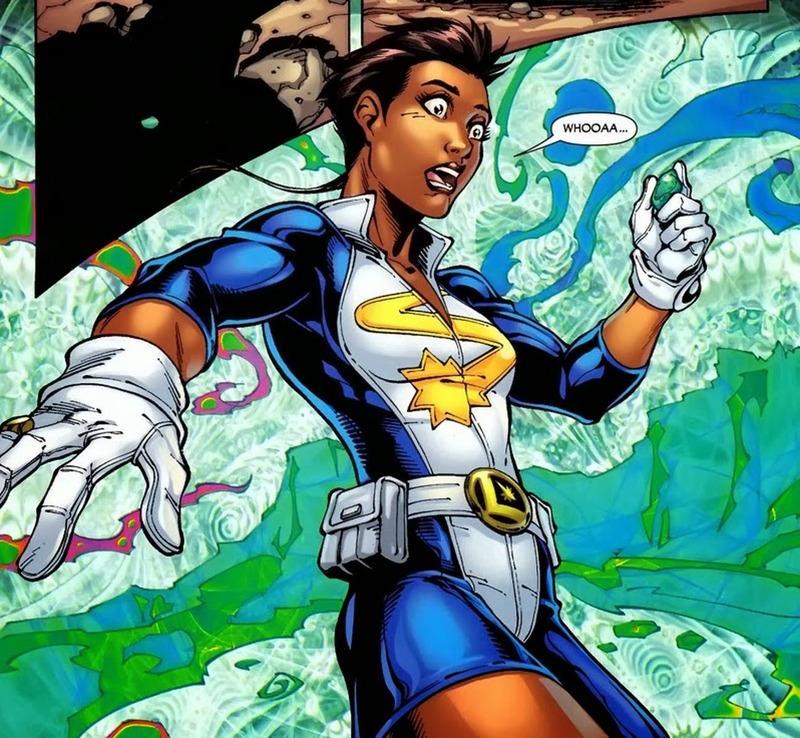 XS), who is Dawn’s daughter and, therefore, Barry and Iris’ granddaughter. For longtime Flash fans, we know that the CW show likes to take liberties with their representation of characters (let’s just all try to forget about their version of Savitar though; forgive and forget, right?). Admittedly, Jenni (XS) isn’t a character who has had much panel-time in the comics compared to some of the Flash Family frontrunners, so while I’ll go into as much depth with the speedster as possible, we’ll need a bit of set-up getting off the blocks. Out the gate, let’s begin our look at the Flash descendants with Barry Allen and his wife Iris West-Allen’s actual children. As briefly mentioned above, Barry and Iris had two children, twins named Don and Dawn Allen. Don and Dawn were born in the 30th Century after Barry retired there with Iris. How did Barry end up in the 30th Century? The 1980’s were not kind to poor Barry Allen, as a number of tragedies befell the Scarlet Speedster. Eobard Thawne (a.ka. Professor Zoom, a.k.a. Reverse Flash) murdered Iris; then when Barry thought that he’d at last found love again, Thawne appeared and attempted to kill his soon-to-be second wife. Barry wasn’t having any of that and managed to save her, but to do so, he snapped Reverse Flash’s neck – killing him (for the time being, because comics). This kicked off a storyline known as Trial of the Flash that comprised The Flash #323-350. The Flash is put on trial for the murder of Reverse Flash (big loss to society, I know) and found guilty by the jury; however, one of the jurors, whose mind is being controlled by someone from the future, informs Barry that the jury was mind controlled by the Reverse Flash (whom Barry thought dead after, y’know, snapping his neck) into issuing the guilty verdict. After fleeing his trial and being attacked by Thawne, Barry understands that he needs to travel to the future where Reverse Flash is from in order to dissect this mystery. Upon arrival in the future, it is revealed that the villain Abra Kadabra had disguised himself as Reverse Flash in the past to destroy the Flash’s reputation. Once Kadabra is defeated, Barry discovers that Iris’ spirit had been drawn to the 30th Century (because she was actually originally from that time, but sent away to the 20th Century as a child and adopted… because comics) and obtained a new body there, as well as that she was the mind speaking through the single juror that aided him back in his time. Barry decides to retire from his Flash duties in the 30th Century. Now that we understand that Barry and Iris were in the 30th Century to retire on lawn chairs with their iced teas, let’s start expanding that Allen Family Tree! Initial Flash descendants Don and Dawn Allen were born in the 30th Century after Barry Allen had left to fight (and die) against the Anti-Monitor in Crisis on Infinite Earths. The brother-sister twins were born with some of their father’s Speed Force powers already in their bodies, and as such inherited a fraction of his speed. The ruling authority of the 30th Century, Earthgov, was extremely hostile towards both metahumans and other sentient alien races, and because of this, Iris encouraged them to keep their powers hidden at all times. Following a battle a victorious with Savitar in which he trapped the Speed Force demi-god within the Speed Force, and being flung through time, Wally West found himself trapped in the 30th Century. Confused by the rampant xenophobia of this era, Wally attempted to save an alien being from getting killed by an angry mob but was himself surrounded and quickly became overwhelmed. Don and Dawn witnessed this and debated whether or not to step in and help the man they knew to be their uncle. Their hesitation was a combination of the danger in revealing their metahuman powers to the world and resentment towards Wally because Barry had always been like a father figure to him while they never got to meet him at all. Realizing what their father would have done in this situation, the Allen twins jump in to give a hand and soon lend some of their Speed Force energy to Wally, allowing him to re-enter the timestream and attempt to return home (which doesn’t happen and he’s flung through the timestream yet again). Watching the heroic actions of their uncle Wally must have had a great impact on Don and Dawn’s lives, as not long after these Flash descendants began to fight crime in the 30th Century as the superhero duo known as the Tornado Twins. 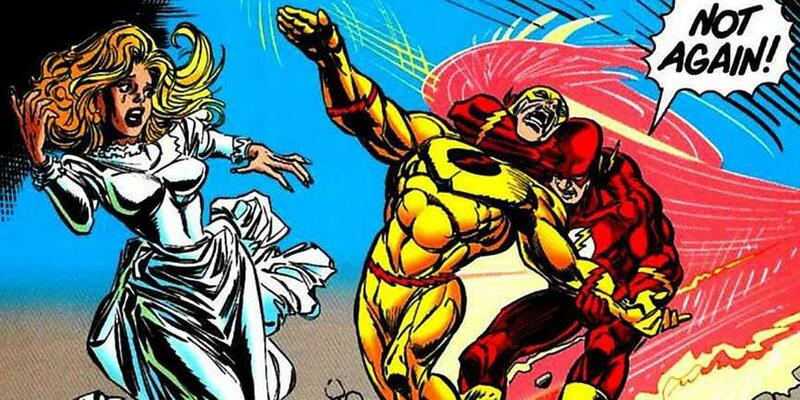 Don Allen would go on to marry Meloni Thawne, who was the daughter of then Earthgov President Thaddeus Thawne, and together they would have a son, Bart Allen. His sister Dawn would marry a man named Jeven Ognats, and they would have a daughter together named Jenni. Not long after the Tornado Twins had their respective children, Professor Zoom arrived in the 30th Century to end the union between the Allen and Thawne families that had begun with Don and his wife Meloni. Both Don and Dawn’s families attempted to escape to another Earth via the Cosmic Treadmill, but the Reverse Flash had sabotaged it, and the resulting explosion created a rift in the multiverse. Reverse Flash was eventually stopped by a combination of the armies of three different Legion of Super-Heroes teams, but the Tornado Twins and their families were stranded on Earth-247. The fate of the Tornado Twins from this point has changed nearly half a dozen times with each timeline alteration that affected the continuity of the DC universe. Both Bart and Jenni were reunited with their grandmother, Iris, and their Speed Force connection began to age them rapidly. Bart Allen was born with a volatilely unstable metabolism caused by his premature Speed Force connection that threatened to kill him. As a result, Iris chose to take him back to the 20th Century in the hope that Wally West would be able to help the boy gain control over his Speed Force connection and save his life. Bart would adopt the name Impulse for a time, being taken under the tutelage of Wally West, Max Mercury, and even Jay Garrick, until eventually adopting the former name of one of his mentors, Kid Flash, and even taking up the mantle of Flash for a short time. Jenni’s Speed Force connection stabilized on its own nearly from the get-go. At first, Jenni displayed no signs of super-speed powers, despite her family tree; however, when the Dominators attacked and captured her and her father Jeven, her dormant powers activated in response to the sight of him being tortured. Upon learning to better control her super-speed powers, Jenni was drafted into the 30th Century’s Legion of Super-Heroes, adopting the name XS. When the Legion first traveled to the 20th Century, Jenni became separated from the rest of her teammates. There, she was reunited with her cousin Bart, and they became close friends and strong fellow Legionnaires for a time, teaming up alongside Flash Wally West, Max Mercury, Jay Garrick, and Johnny and Jesse Quick against Savitar. Jenni has yet to be revealed as being part of present DC Rebirth continuity, though current Flash writer Joshua Williamson seems intent on bringing back much of the Flash’s past, including Bart Allen, as well as hinting at a future in which a much older Barry is seen facing off against his children, Don and Dawn who, instead of taking up the hero mantle, bring about destruction in response to their having grown up for much of their lives without their father. If you’re interested in reading some of the stories these Flash descendants appear in, check out the section below!